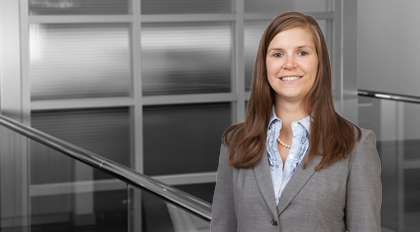 Sara Page Waugh is an associate in Moore & Van Allen’s Wealth Transfer Group. Her practice is focused on estate planning, trust and estate administration, charitable planning, and tax planning for high net-worth individuals. As a member of the North Carolina and Florida bars, Waugh advises clients in both states with respect to their tax and estate planning needs. Her practice includes advice, preparation and implementation of wills, revocable trusts, irrevocable trusts, and financial and health care powers of attorney. Waugh also assists her clients in achieving their charitable goals. Her practice includes the formation of non-profit corporations, application for tax-exempt status, and advice and counsel regarding ongoing compliance with state and federal requirements for tax-exempt organizations.